Innovation in new vehicles is a double-edged sword. On one side, if cars aren’t getting better all the time — more reliable, more enjoyable, more efficient and more comfortable — then very quickly they’ll find themselves uncompetitive. No one can sit still in a marketplace where others are improving. On the other side, innovation done wrong can spell disaster. 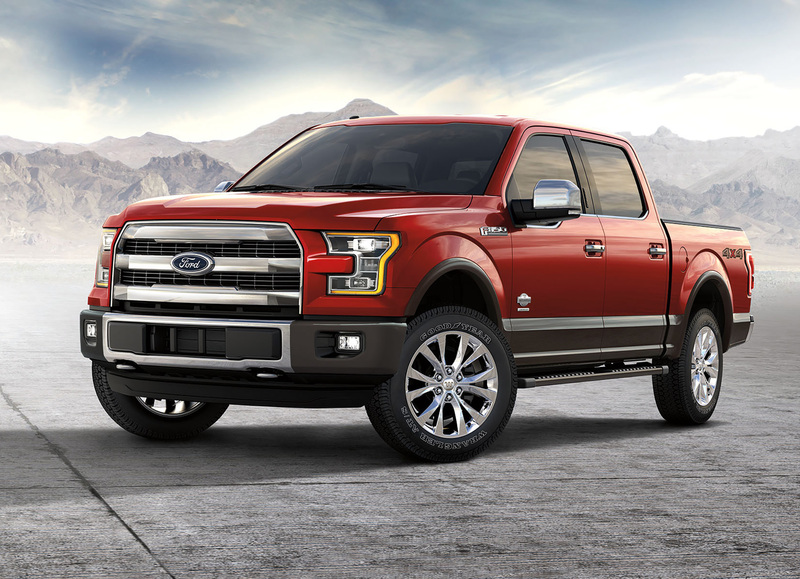 The latest Ford F-150 is an example of innovation done right. This pickup is unquestionably one of the most forward-thinking on the market today, mainly thanks to its groundbreaking aluminum body. Abrasive commercials from Chevrolet notwithstanding, the Ford’s strong but lightweight construction is the formula every truck will be following for years to come. It’s a leader, not a gimmick. The Ford F-150 adds to its reputation as an innovator with another segment first this year: an available 10-speed automatic transmission. Even the critics of Ford’s plan, who pointed out the difficulties of mass-producing aluminum panels and the potential for monumentally high repair costs, have discovered their fears were largely unfounded. The aluminum F-150 is looking more like a phoenix and less like an albatross with each passing year. This year, Ford is rolling the innovation dice once again with the introduction of a 10-speed automatic transmission in its mass-selling truck. Like all meaningful innovations, this one was a big gamble. Chrysler tried the same thing with a nine-speed automatic in the 200 a few years ago, and its slightly less-than-perfect rollout — seriously, their transmission wasn’t all that bad — was a big reason the 200 met an untimely death. Buyers expect perfection. That means Ford’s new 10-speed has to be absolutely perfect from the moment it arrives on dealer lots. And if my weeklong test drive is any indication, perfection is exactly what buyers can expect. Unlike Chrysler’s nine-speed, which felt a bit awkward when it hunted for gears early in its rollout, this 10-speed seems perfectly programmed from the get-go. It makes fast, crisp, surprisingly sports-car-like shifts and always finds and holds the correct gear, despite having so many choices at its disposal for any given moment. It doesn’t suffer from indecisiveness. Why a 10-speed? Two words: fuel economy. Auto makers are under pressure from both buyers and the federal government to keep their fuel consumption in check, and having more gears allows the engine to run its its most efficient range more of the time. Ford and General Motors worked together to jointly develop this new transmission, and Ford’s installation seems to be a spectacular success. Coupled with engine start-stop technology, which automatically shuts the engine off at stoplights like hybrid cars have done for years, my test truck got an EPA rating of 18 mpg in city driving and 25 on the highway. For a truck with V8-like power, performance and towing capability, those are impressive numbers. The F-150’s cabin is quiet and refined, especially on higher end trim levels such as King Ranch and Limited. The subject of my test was a 2017 F-150 SuperCrew fitted with a fresh 3.5-liter EcoBoost V6 and, of course, the fancy new transmission. Its out-the-door price was over $50,000 before discounts, which is pricey but not out of line for a well-equipped new truck. Changes to the turbo V6 boosted its output ratings by 10 horsepower and 50 pound-feet of torque this year, up to 325 and 375 respectively. With an optional 3.55 rear axle, my tester drove like a fun sport truck with quick off-the-line acceleration and steady, linear power when getting up to highway speeds. It also came with one of my favorite Ford innovations: Pro Trailer Backup Assist, which lets you steer a trailer in reverse using a knob on the dash that does all the thinking for you. For people like me who don’t tow all that often, it makes backing up a trailer super easy and intuitive. Pricing for a basic F-150 starts around $27,000. Getting the 10-speed requires at least the XL trim, which starts around $30,000 with a single cab or $36,000 with the more popular, four-door SuperCrew cab. It’s an impressive innovator because of its aluminum-alloy body and the first 10-speed automatic in a mass-produced truck. It beautifully mixes impressive capability with a refined, quiet ride.